Violets have a long history of a healing . In ancient times the violet was used to treat liver disorders as well as bad tempers. I'm sure every one of us have had days where we all could have used a nice violet mixture! 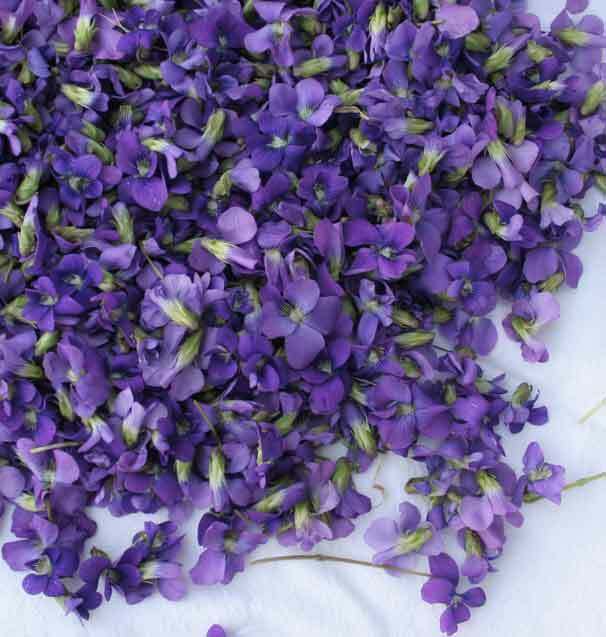 The violet was also later used to treat a variety of eye and skin disorders and constipation and congestion. The facts are violets contain flavonoids, which act as a diuretic. They also contain alkaloids which allow the blood vessels to relax thus possibly increased blood flow. The saponins found in violets act as an expectorant. Salicylic acid, a painkiller and anti-inflammatory agent, similar to the active ingredient found within aspirin can be found in violets. These are just some of the many health benefits found within this amazing flower. I think I'm going to have a go at planting some around here... there are so many amazing things you can make with violets, including Jam and Honey and different teas. I want to share a recipe for violet vinegar with you though. 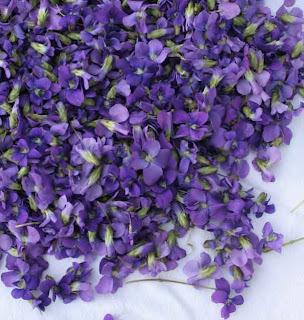 Combine 3 ounces of violet flowers and 1 quart of high-quality white wine vinegar together in a covered container and let sit for several weeks in a warm place. Shake the mixture daily. Strain the herb using a cheesecloth and then bottle. Store in a cool, dark location. The mixture will keep for two years and can be used as a base for salad dressing, drizzled over fruit and even splash a little on your face as an after-cleansing aromatic toner. This recipe was discovered in Country Wisdom & Know-How on page 374.